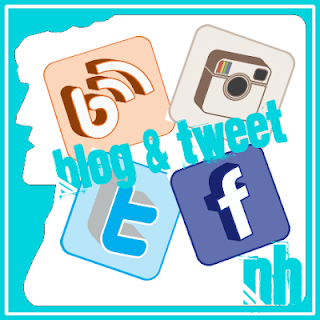 May 2016 – Breweries, Wineries and the fun in between! 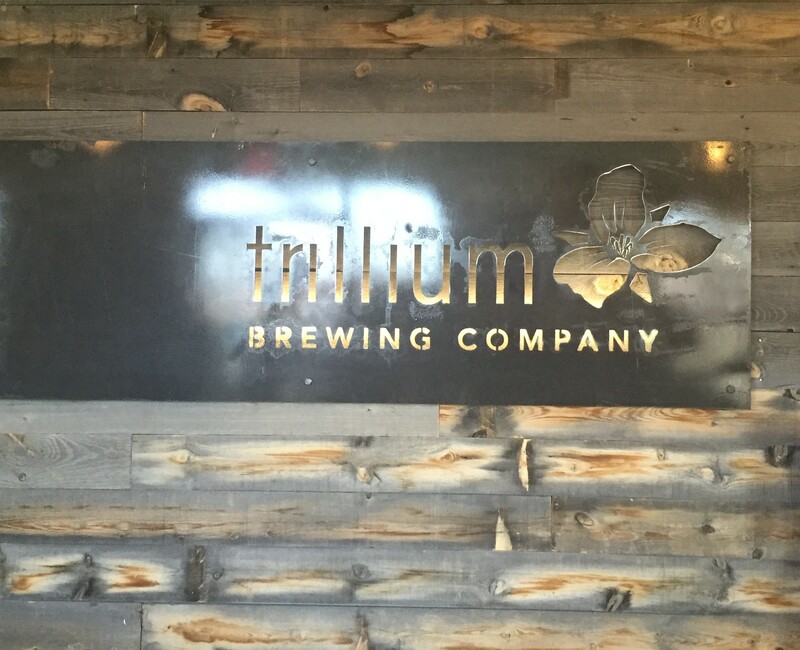 We recently visited Trillium Brewing Company, the Canton, MA location. This was our 125th visit! We went with Mark’s brother Jason and his wife Maureen, Mark’s sister Michelle, and Megan’s sister Jess. 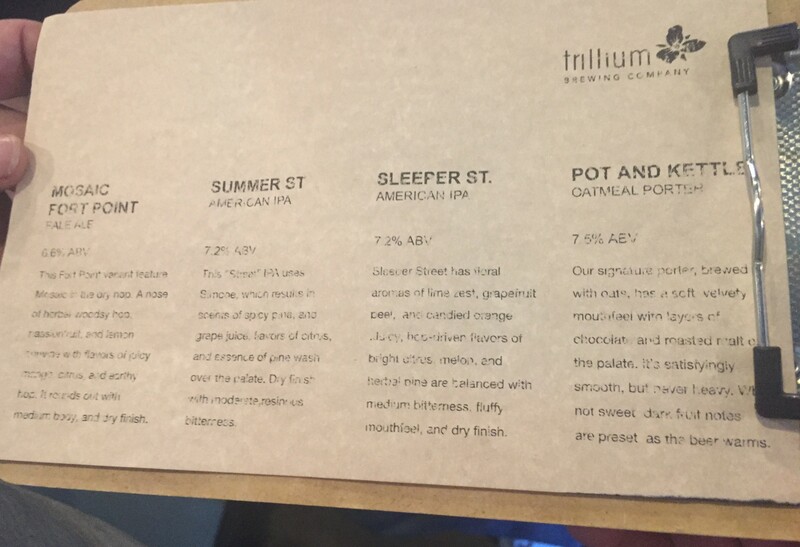 We went on a Saturday afternoon with fairly high expectations, we have heard a lot about Trillium but have never tried any of their beers, until now. 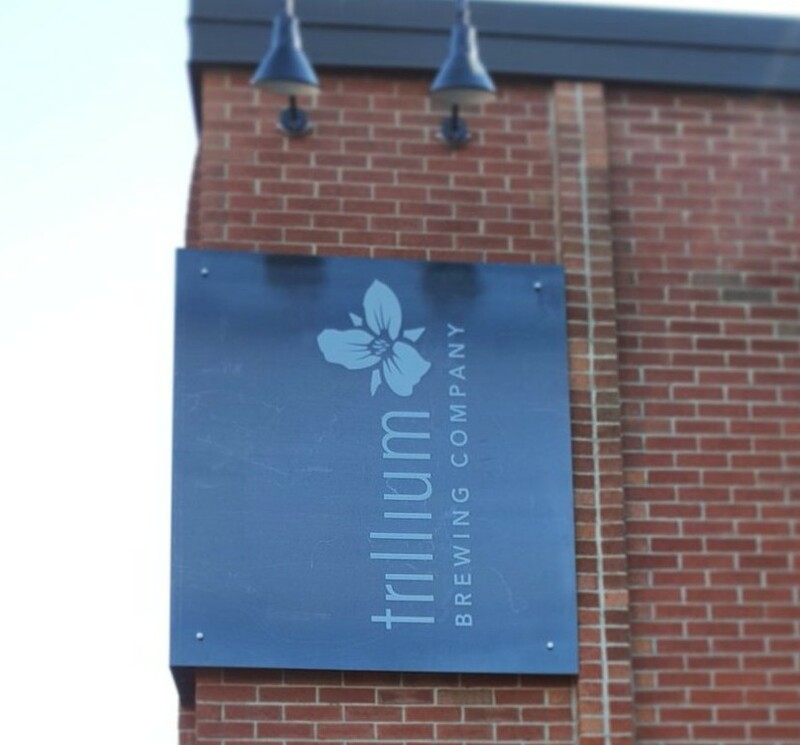 Trillium Brewing Company has been open since March of 2013, run by husband and wife owners JC and Esther Tetreault. They have built quite a following from their small scale operation in the Fort Point neighborhood of South Boston. In December 2015 they opened their secondary brewing location in Canton, MA with a tasting room and a much larger brewing capacity, a theoretical brewing capacity of 35,000 barrels annually. They still operate both locations. 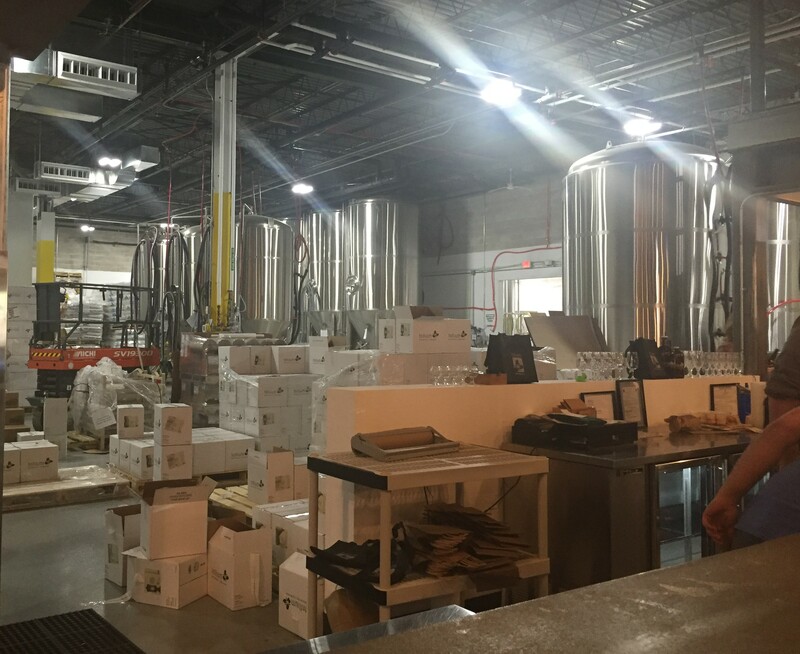 We had heard a lot about their beer, but waited until they opened their new Canton facility to visit them. They do not serve samples in the Fort Point location. Smells very fragrant, tropical and fruity hops. Pours cloudy and unfiltered. Has a fruity hop taste to it, not super juicy, but pretty tasty. Fruity and tropical hops with a bitter finish. Not nearly as fruity smelling or tasting as the Pale Ale. Smooth, not that hoppy or bitter, nothing really stands out with this beer, fairly standard IPA. Maureen thought it was pretty good and she doesn’t like most IPA’s. This IPA was a little fruitier, with a hint of grapefruit. A little bit juicy, not too hoppy or bitter, but a little more interesting flavor, Mark thought. Jason liked the Summer Street better. Not as heavy as we expected, but we liked it. Medium body, smooth, Jason tasted chocolate, Mark got a roasty chocolate flavor. Mark, Megan, and Jason all enjoyed this. The tasting experience here was not as good as we had hoped. It is an improvement since they do not do tastings in their Fort Point location, but there was only 1 bartender serving most of the time, so it took a while for us to get served. They serve 2 oz complimentary samples. The most disappointing thing was they only had 4 beers to sample. Mark went with specific beers he wanted to try, but could not sample them. Since they do have such a good reputation, we bought beers that we could not sample there to bring home and try. Other people visiting, or people unfamiliar with Trillium’s reputation may not buy a $10 bottle of beer that they can not sample. 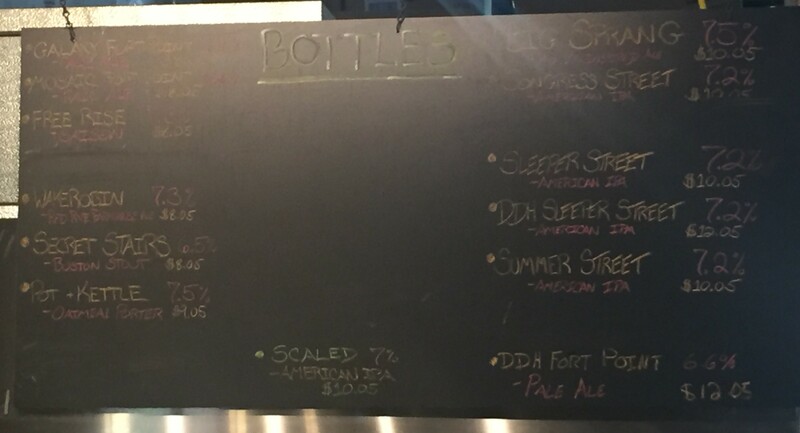 They sell their beer in 750mL (25.4 oz) bottle. This was one of the ‘tastings’ we did at home. This is a super cloudy beer with a huge hop nose. 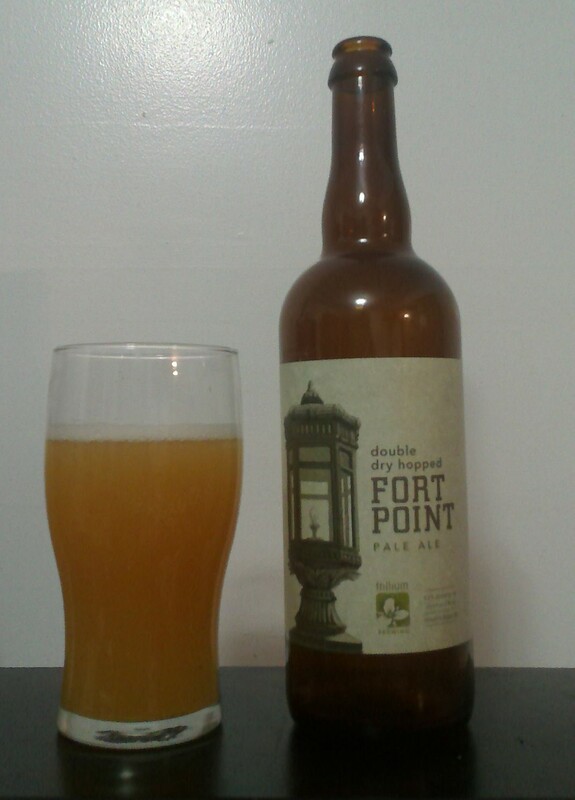 It is a pretty tasty beer, mostly citrusy hops, a little bit of a piney taste mixed in there, Mark liked it a lot. The only minor critique is it is all hop flavor up front with not a whole lot of flavor on the finish, but Mark did like it and will buy it again. This was the stand out of the ‘at home tastings’. One of the benefits of the new facility is that there is an area for filling growlers and buying bottles that is separate from the tasting room. This separates the crowds and makes it easier if you want to just stop in and pick up some beer. Bottles behind the counter, and brewing tanks behind them.